Direct Selling industry has contributed phenomenally towards self employment generation in the country. According to the recent survey undertaken by PHD Chamber of Commerce and Industry, the active Direct Sellers of the Indian Direct Selling Industry have increased from 43, 83,487 during 2013-14 to 49,09,505 in 2014-15 representing a growth of 12 percent. Going ahead, the recent guidelines issued by the Ministry of Consumer Affairs, Government of India to safeguard the interests of consumers, as well as help protect ethical direct selling companies would go a long way in confidence building of direct selling entities and consumers of direct selling products in India. 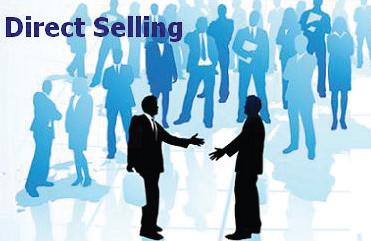 Direct Selling is defined as face-to-face selling away from fixed brick and mortar stores. Direct Selling typically includes home selling situations such as door-to-door solicitations, appointments, referrals and product parties, as well as catalogues and the Internet to disseminate information. It is one of the oldest modes of sales, and is similar to the traditional consumer goods retail model. By design, direct selling firms rely more on the selling skills of their sales force rather than advertising. Direct sales people are usually independent contractors, not company employers, and opportunities with direct selling companies are open to persons from all backgrounds, experience levels, and personal characteristics. Clearly, direct selling is a business activity of significant importance both in financial and human terms. Recently Shri Ram Vilas Paswan, Minister of Consumer Affairs, Food and Public Distribution informed that the model guidelines on direct selling have been formulated and sent to State Governments for implementation. It is envisaged in the guidelines that the State Governments will set up a mechanism to monitor/ supervise the activities of Direct Sellers, Direct Selling Entity regarding compliance of the guidelines for Direct Selling. Any direct selling entity conducting direct selling activities shall submit an undertaking to the Department of Consumer Affairs within 90 days, stating that it is in compliance with these guidelines and shall also provide details of its incorporation. “Direct selling means marketing, distribution and sale of goods or providing of services as a part of network of direct selling other than under a pyramid scheme,” according to the guidelines. The guidelines list out conditions for the setting up of a direct selling business, including that such a firm should be a registered legal entity. They also bar direct selling companies from charging any entry fee from agents or compelling them to buy back unsold stocks. Major modes of direct selling include one-on-one selling at home, one-on-one selling at a workplace, a sales party at a consumer’s home, and a sales party at a workplace, church, or other location. DSOs (Direct Selling Organizations) can use two types of organization structures, identified as multi Level and single level. In a multi Level (ML) organization (also called network marketing organization); direct sales people recruit, train, and supervise other direct sales people who become part of the recruiter’s organization. In return, the recruiting sales person receives compensation on the sales of organization members as well as on his or her sales. In a single level (SL) organization, the salespeople do not build their own organizations via recruiting and training, but rather focus their efforts on selling and achieving compensation based on their own sales. represented a means for women to earn money and work outside their homes, and by 1920 topped its revenue at USD 1 million. In the mid-1920s estimates of the volume of annual direct sales ranged from USD 300-500 million. The global market evolved between 1920s and 1930s in the USA driven by the need to regulate marketing and distribution costs, and the need for live demonstration for certain products in the absence of technology. The period between 1970 and 1990, the direct selling industry saw significant change. The industry started with sale of products like cosmetics and household appliances through the direct selling channel, but after 1970 many direct selling companies diversified their product portfolios to a larger number of products such as household goods, food and wellness products. The period also witnessed improvement in technology. Many new marketing techniques and strategies were developed and new distribution and retail channels emerged; as a result direct selling companies modified strategies to benefit from these technological advancements. Women became a major part of the industry. Many young women who found it difficult to simultaneously manage full time jobs and their families joined the workforce; they also got an opportunity to support their families. Direct selling in India has emerged as a low investment entrepreneurial opportunity for masses to the idea of building their own business at their own pace and operating it on their own terms. It has been witnessed over the years that individuals are engaging in large numbers owing to the benefits the industry offers in terms of free enterprise system, low cost of entry, minimal risk, opportunity to earn supplementary income, training and development programmes, etc. The concept of Direct Selling has become popular over the years as it offers the ability to experience the product first-hand by the consumers generally in their homes, at their workplace or at places apart from retail locations through demonstration of products by a Direct Seller. Direct selling provides an excellent platform for entities with innovative or distinctive products not readily available in traditional retail stores, or those which cannot afford to compete with the enormous advertising and promotion costs associated with gaining space on retail shelves. Direct selling enhances the retail distribution infrastructure of the economy, and serves consumers with a convenient source of quality products. In terms of gender-parity, Direct Selling industry plays a critical role in empowering women by offering an opportunity to earn decent income earning opportunities. It also provide an alternative to traditional employment for those who desire a flexible income earning opportunity to supplement their household income, or whose responsibilities or circumstances do not allow regular part-time or full time employment. To promote equality and skill development in the society, the industry plays a vital role in uplifting and developing skills of women who join as Direct Sellers by providing or conducting various training programmes from time to time. In addition, with cost of living skyrocketing in recent years, it becomes difficult for the youth to manage their personal finances and hence it poses a great impact on the overall consumption behavior of the youth, which plays vital role in pushing India’s growth story to a higher trajectory. Thus, direct selling offers a platform for them to earn extra money to support their short or medium term goals. Direct Selling is classified under non-store retail format and is defined as a method of consumer product and services distribution via sales in a person-to-person manner, away from a fixed retail location primarily through independent salespeople and distributors who are compensated for their sales and for their marketing and promotional services, based on the actual use or consumption of such products or services. Department of Industrial Policy and Promotion (DIPP), Government of India classifies Direct Selling under wholesale trade for the purpose of FDI inflows. According to the recent consolidated FDI policy by Ministry of Commerce and Industry, Government of India, FDI in Cash & Carry Wholesale Trading/Wholesale Trading (including sourcing from MSEs) is allowed at 100 percent under automatic route. Direct selling accounted for more than US $ 182 billion in retail sales globally in 2014 – a new sales record for the industry, registering a sales growth of 2.5 percent. The top markets representing the highest sales globally are United States of America (19 percent), China (17 percent) and Japan (9 percent). India’s ranking in terms of size of the sector deteriorated from 18th in 2009-2010 to 22nd in 2014-2015. Worldwide, more than 99 million entrepreneurs earned self employment in direct selling in 2014 as compared to 39 million in 2000, registering an average growth rate of 7.1 percent. Despite being a booming industry, no specific levels of education, experience, financial resources or physical condition are required. All of this lights the stage for coming geographic shifts in market dominance. India is also witnessing steady growth environment in the direct selling. Direct Selling Entities in India have embarked impressive growth during the last many years. The gross sales by the Direct Selling Industry stand at INR 79,583 million in 2014-15 as against INR 74,722 million in 2013-14. The Direct Selling Industry has registered growth rate of about 6.5 percent in 2014-15 as compared to 4.3 percent in 2013-14. Rising incomes, urbanisation and large population of youth has augmented unparalleled demand for consumer products and require effective and efficient channel of distribution. Direct Selling is one such different business model which meets rapid changing demands of today’s consumers. On the basis of growth perceptions of the Direct Selling Entities, the industry has the potential to enter double digit growth on account of strong legislation, reviving investments in economy and expanding consumer base across all segments of the economy. According to the survey, Direct Selling Entities felt that the size of the industry is estimated to reach up to INR 1, 53,026 million by 2019-20 on account of conducive policy framework in our country. Going ahead, India’s emerging demographic dividend would place it better in comparison to other countries in the period ahead. The population projections indicate that the average age of India’s population will be the lowest in the world in 2020 at around 29 years as compared to 37 years in China and the United States of America, 45 years in West Europe, and 48 years in Japan. While, the global economy is expected to have a shortage of young population of around 56 million by 2020, India is projected to be the youngest nation in the world in terms of size by 2020 with a youth surplus of 47 million. Keeping in view of the same, Direct Selling industry capitalizes on this unique demographic advantage by providing self employment and decent income earning opportunities to the youth. As youth are energetic, self confident, motivated and have innovative ideas, Direct Selling could be the source of employment for many youth of our country on account of factors such as minimal capital investment, alternate income earning opportunity, conducted without sacrificing study time as one works on part time basis and financial helping hand to survive the cost of living. Employability is dependent upon knowledge and skills developed through quality education and training. In this direction, Direct Selling plays a vital role in uplifting and developing skills of individuals that join as Direct Sellers by giving them an opportunity to work, learn and grow by way of improving their inter-personal skills and provide or conduct training programmes. It is necessary to empower youth of our country with access to the right set of educational and skill tools and opportunities to make a productive and sustainable contribution to the economy. Thus, Direct Selling Industry plays a critical role in empowering youth with offering self-employment opportunities to earn and save, thereby contributing to higher savings and higher investments, and leading to higher growth trajectories. Also women have significantly contributed to the economic empowerment of our nation through employment and income generation. There has been a phenomenal change in the status of women over the years across the globe. They have made equal involvement in the growth and development of the country over the years. This achievement of Indian women has been possible due to the progress made by them in bridging the equality gap in many socio economic sectors. Literacy rate for females was around 39 percent in 1991 which has increased remarkably to about 54 percent in 2001 and about 65 percent in 2011, depicting a significant decline in the gender differential in education. However, according to International Labour Organisation (ILO) India’s labour force participation rate for women fell from just over 37 percent in 2004-05 to 29 percent in 2009-10. A decline in the employment of women is a cause of serious concern as economic empowerment is crucial for bridging gender inequity, and overall empowerment of women. Low levels of education and skill deficit are responsible for low income levels of a large majority of the labour force, thereby perpetuating inequality. In this direction, the industry plays a vital role in uplifting and developing skills of women who join as Direct Sellers by providing or conducting various training programmes from time to time. Going ahead, with women accounting for nearly 48 percent of India’s population, there is a need to ensure equal involvement of women in development of the society by empowering them to participate fully in economic life across all sectors. Thus, Direct Selling could play a major steer in the direction of women empowerment as they offer a platform for women to earn financial independency, contribute to higher savings and higher investments in a flexible working environment with minimal investment. It also enhances skills and promotes balance between home and work. In addition, every incremental percent age of women taking up entrepreneurship via Direct Selling will have a multiplier effect on the GDP growth rate of our economy. In conclusion, new guidelines to regulate Indian direct selling companies, issued by the Ministry of Consumer Affairs to safeguard the interests of consumers, as well as help protect ethical direct selling companies, would go a long way to strengthen the growth of the industry to the higher level. The guidelines related to grievance redressal mechanism for consumers, remuneration system for the persons engaged by direct selling firms and direct sellers mandatory compliance with some rules will safeguard the interests of consumers as well as companies. The guidelines will help to give boost to the industry which gives employment opportunities to large number of youth and women, contribute to skill development and women empowerment, gives push to MSME sector and have contributed to Government’s ambitious ‘Make in India’ programme by giving boost to manufacturing sector in India. Going ahead, continuous regulatory reforms in the direct selling industry would bring the industry at par with global standards to generate more business volumes, attract foreign investments and generate employment opportunities in the economy.